Someone may want to let Matthew know about this kind offer? It’s not the first, and likely not the last, beef DH will get into with our fans. 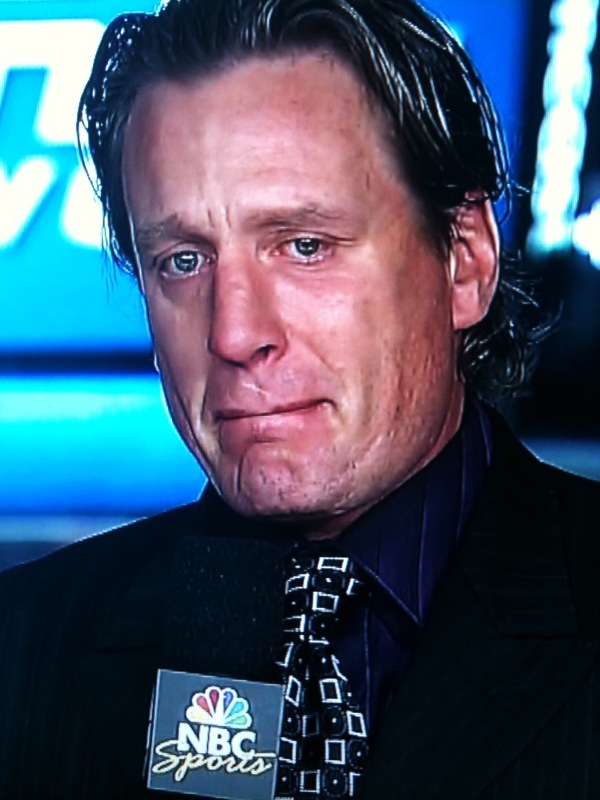 But the recent comment from hockey poster boy and NHL network self imposed hockey “Genius,” Jeremy Roenick may have gone a little to far. It all started innocently enough with DH pointing out the obviousness of JR’s tweet about NHL playoffs. Being kind hearted and charitable as always, he offered a suggestion to the struggling commentator for some more flavorful commentary. “Be INTERESTING JEREMY dammit, be INTERESTING!! !” he begged. 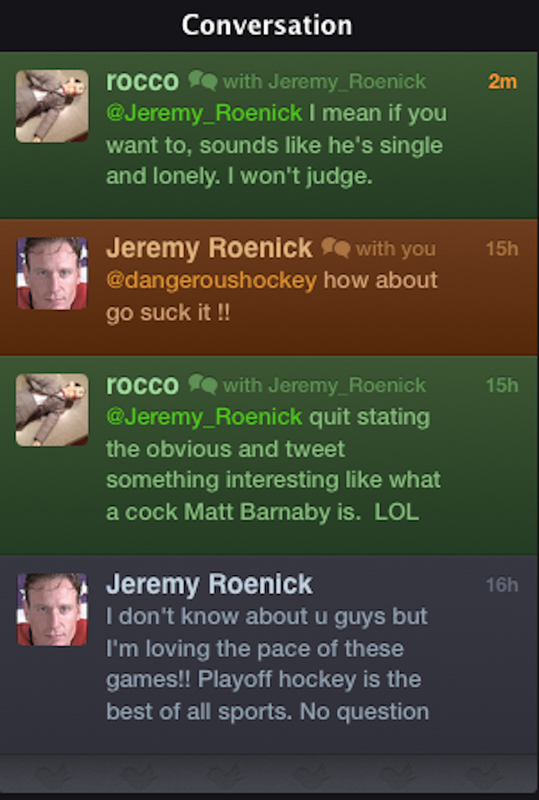 2 Responses to Did Jeremy Roenick’s hatred for Dangeroushockey leads to Twitter Tirade? DH loves JR. It’s obvious this is just a stunt.